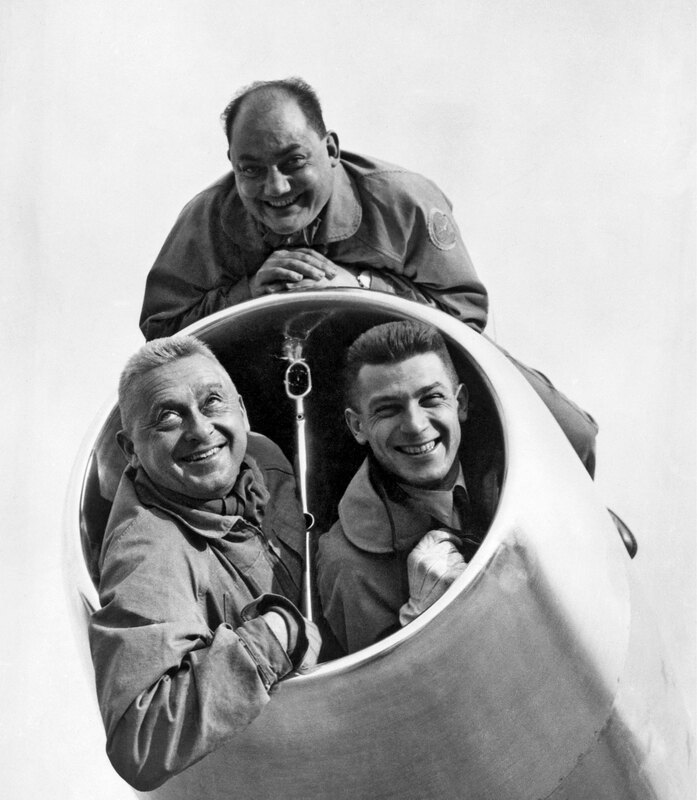 Constantin Rozanoff paved the way for Dassault to enter the days of jet-powered aviation, flying the Ouragan and Mystère II’s maiden flights. Constantin Vladimir Rozanoff was born in Warsaw on August 23, 1905. He took exile in France with his mother, acquired French nationality in 1927, and then entered École Centrale des Arts et Manufactures. His passion for aviation led him to choose a military career as a stepping stone for qualifying as a pilot. Following flight training in Avord then Versailles, he was appointed as a pilot to the 12th Daytime Bombardment Regiment flying a Breguet Bre 19. He then joined École Nationale Supérieure d’Aéronautique, an aeronautical school, and was thereafter promoted to the 1st Fighter Squadron. In June 1935, he joined CEMA, the aeronautical equipment test center that foreran CEV. As a captain, he flew a number of prototypes including fighter planes, the Morane-Saulnier MS 406, Dewoitine D 520 and Bloch MB 152. War broke out during his time at CEMA. During it, he escorted a number of seized Messerschmitt Bf 109s. Yet, perilous though test flying may be, Rozanoff was keen to enroll to fight the invading forces. On February 14, 1940, he joined the II/4 Fighter Group on a Curtiss P-36 as executive officer. As commander, he later took part in the France Campaign with that group, shooting down a Messerschmitt Bf 110 on May 16 and a Henschel Hs 126 on May 18. After the Armistice, Commander Rozanoff was posted to the 4th Air Bureau in Morocco. There, he created and proudly sported his own personal badge, a leather circle with a feather through it. When American troops landed in Northern Africa on November 8, 1942, Rozanoff was placed back in command of the II/5 Fighter Group, which he had reequipped with Curtiss P-40s. He was awarded the American Air Medal and, in July 1943, assigned as commander to Group II/3. Reequipping glitches, however, kept that group from taking part in the operations in Sicily. Rozanoff’s duties for the rest of the war were more technical in nature. He was seconded to Britain’s Empire Central Flying School, where, in late 1943, he discovered jet-engine technology on the Gloster G-41 Meteor. Back in France, his skills earned him a place in a task force charged with studying jet aircraft malfunctions in the United States. There, he flew a number of aircraft, including a Bell P-59 Airacomet and a Lockheed P-80 Shooting Star. He was indeed one of the very first Frenchmen to fly that sort of aircraft. After the war, his technical talent, test-flight experience, authority and organizational skills made Rozanoff, as colonel, the first commander of CEAM, a military air experimentation center in Mont de Marsan. Starting from virtually nothing, he turned that facility into a exemplary and vibrant organization. The air base that housed that center now carries his name. 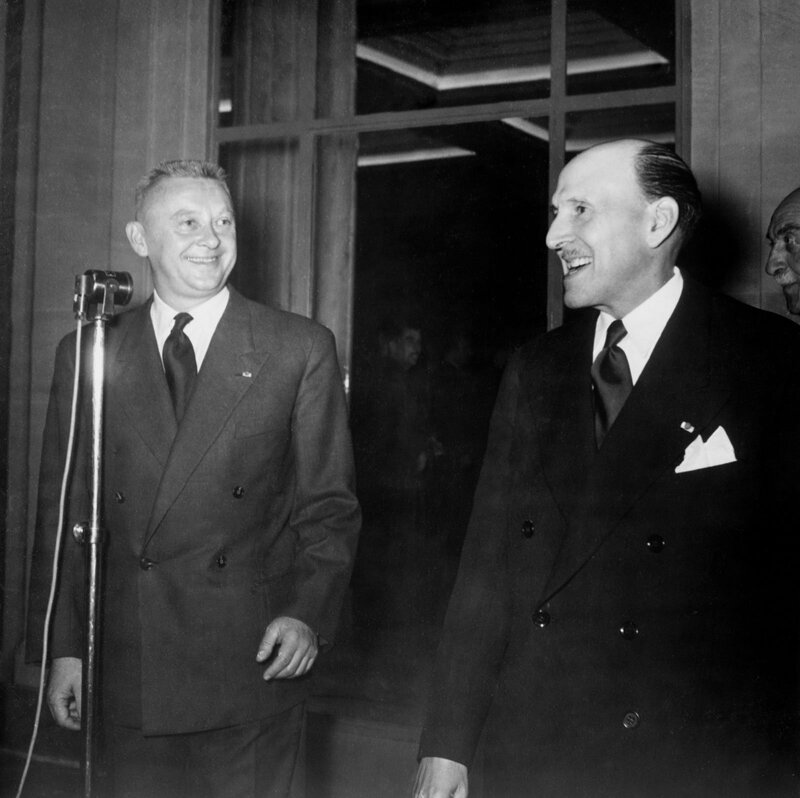 He was relieved from military duties in October 1946 and, shortly thereafter, Marcel Dassault offered him a job at the head of the test-flight department. He was the first, alongside Georges Brian and Jean Dillaire, to fly the MB 303, later to become the MD 315 Flamant. A large-scale government order for that aircraft, incidentally, brought the company the breath of fresh air it needed at the time. Rozanoff also paved the way for Dassault to enter the days of jet-powered aviation, flying the Ouragan and Mystère II‘s maiden flights. In early 1954, Rozanoff decided to step down and asked Roland Glavany to take over. 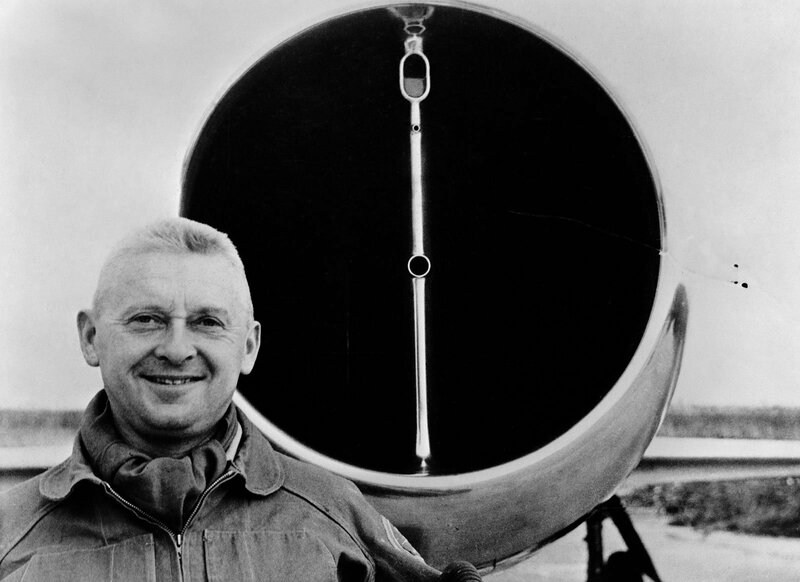 But not without adding a new feather to the company’s cap: he broke the sound barrier flying horizontally for the first time in Europe in February 1954. He died on 3 April 1954, flying a Mystère IVB.